Urgent! 36 Hours to Ban Bee Killers! In less than 36 hours, the European Union will vote on whether to ban toxic pesticides that are killing bees around the world and threatening our food supply. The big corporations profiting from this vile stuff are lobbying furiously to defeat the ban and we’ve just heard that key governments are about to cave — unless they feel the sting of public opinion! 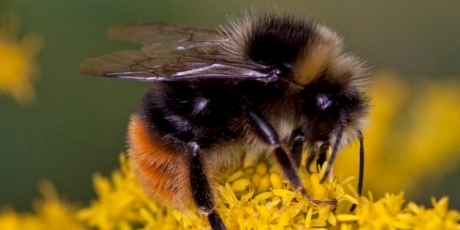 Bees are disappearing around the world at alarming rates. Because bees pollinate our crops, experts are warning that these mass deaths pose a catastrophic threat to our food supply. Thankfully, numerous studies have now identified the likely culprit: a certain class of noxious pesticides. An official EU report found that banning them could solve the problem, but pesticide giant Bayer is trying to convince our leaders to ignore the science to protect their profits. Bees don’t just make honey, they are vital to life on earth, every year pollinating 90% of plants and crops and helping to generate an estimated $40bn value and over one-third of the food supply in many countries. Without immediate action to save bees, many of our favourite fruits, vegetables, and nuts could vanish from our shelves. Last month the European Food Safety Authority gave the most compelling evidence yet that toxic chemicals called neonicotinoid pesticides could be responsible for the bee deaths. Italy has banned some uses of these bee-killing pesticides and has already seen it’s bee populations come back, but Bayer and Sygenta are lobbying to prevent a Euro-wide ban, for fears it would harm their global business. It seems they’re close to having the support of the UK, Spain, and Germany, who want to protect their biggest chemical corporations. We caught the first swarm of the season on Monday night. 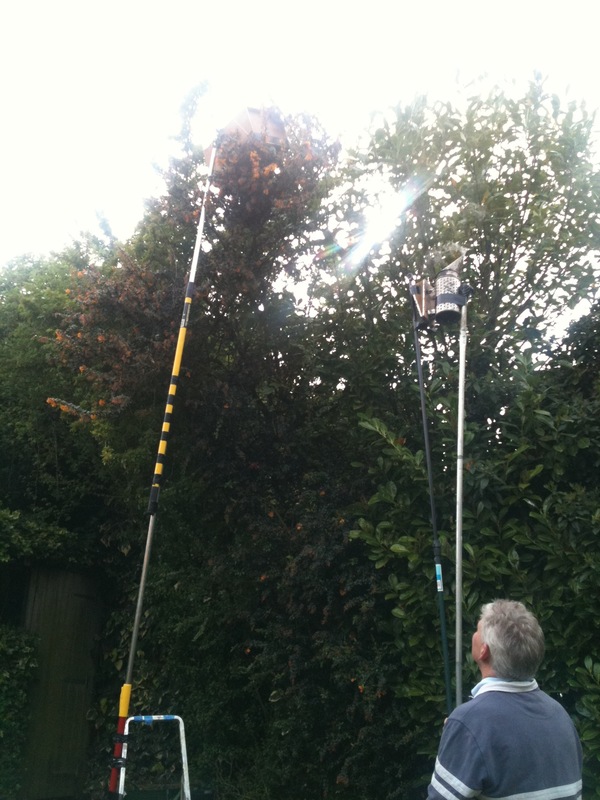 It was 18ft up in a bush – and I had to use an extension to my long pole (used for painting) to get the box up there. Luckily Dennis (whose garden it was) had an additional 3 poles which I used to extend my pole as well as get the smoker up there! The photo looks as though I am trying to catch the sun! Having inspected the hives on Saturday, Faith is still very weak and I somehow doubt will come through as I have now tried to re-queen her twice. We therefore decided to call this swarm “Hope” to keep the spirit of our three first hives – Faith, Hope and Charity. The original Hope and Charity died off in 2005, but Faith has kept going since then. Oh – and it was luck that the place that we caught the hive in started with an H – so we stuck to the Bee Law of naming the hives from the first letter of the place that they were caught! 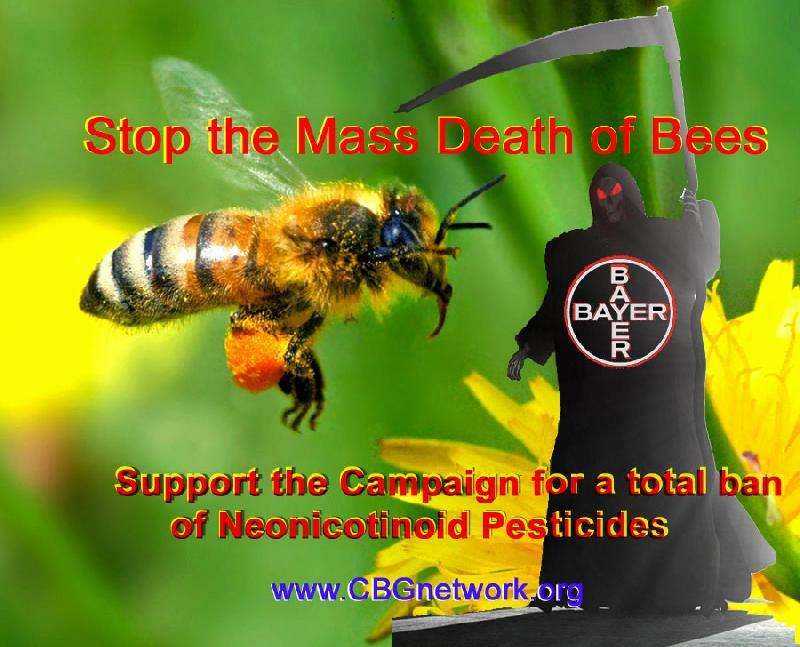 Neonicotinoids work as an insecticide by blocking specific neural pathways in insects’ central nervous systems. The chemicals impair bees’ communication, homing and foraging ability, flight activity, ability to discriminate by smell, learning, and immune systems – all of which have an impact on bees’ ability to survive. Honey bees live and work as a colony, not as individuals; what seems to be happening is that the cumulative impact of small doses of nenoicotinoids on thousands of bees over time is affecting individual bee’s ability to work and communicate effectively as part of a colony. Because lots of bees in each colony are behaving sub-optimally this can lead to the sudden, and devastating, outcomes that we’ve been witnessing in recent years. The Soil Association believes that there is already enough evidence to justify an immediate ban on neonicotinoids today. I just love stories that show that the world of bees is unexplainable, beyond individual intelligence and that even to the most brainiest of scientists can’t explain how they do it! Co-author and Queen Mary colleague, Dr. Mathieu Lihoreau adds: “There is a common perception that smaller brains constrain animals to be simple reflex machines. 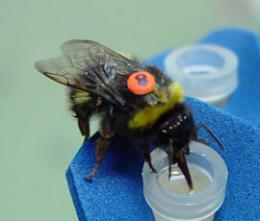 But our work with bees shows advanced cognitive capacities with very limited neuron numbers. There is an urgent need to understand the neuronal hardware underpinning animal intelligence, and relatively simple nervous systems such as those of insects make this mystery more tractable. So long as scientists only think of bees as individual insects, they will continue to miss the point. Same for the planet really. So long as governments continue to see us as individuals, they will also miss the point. Time for more research into swarm intelligence and the subtle energies that allow colonies to survive and prosper. A great programme from the BBC on Heater Bees broadcast this evening. As is the custom at our Apiary, any swarms that we catch are called by the names of the places that we caught them in – but only for the first year. If they get through the winter, then they are given new names – which are all virtues. We started with Faith, Hope and Charity. The only one of the original hives that we started with five years ago is Faith. And she has re-queened at least twice. So on Sunday, we set off to the Apiary to ensure there was enough food in the hives after all the recent cold weather – and to take away any hives that had not made it through the winter. There were two such hives: Joy and Trust. Joy went queenless in July and I did not re-queen here because we had so many hives by then! Trust was very weak at the end of the year – and I was not surprised to find an empty hive. However, what did surprise me was that Trust had quite bad woodpecker damage around the entrance….which will require a bit of woodwork to mend. So we now have seven hives! New names are in bold. The old hives are in italics. Unity – Probably the strongest hive of all. Caught on the day before the wedding of the owners of the land where we caught the swarm! Kindness – Good swarm caught in a hedge next to the local cricket pitch from a local village starting with the letter “K”. Melody – Very black bees – possibly from the church belltower in a local town starting with the letter “M”. Harmony – Imported from Essex two years ago. Joy was her sister, but Joy did not get through the winter. Oh Joy! 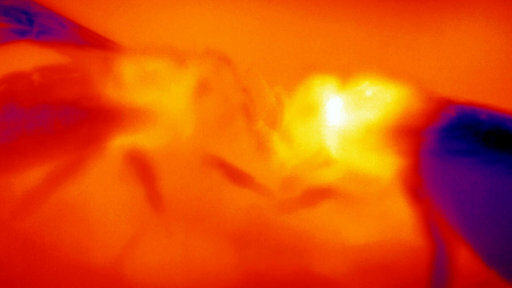 Grace – also quite buzzy – but not as strong as Liberty. Liberty – strong but still quite buzzy! Could be an old queen as this was the swarm from the local golf course (starting with the letter “L”) which later threw a cast onto the same bush about a week later! We gave the cast to a beekeeping friend – and it has also over-wintered well. Starting the year with seven hives is a record and a nice position to be in having gone down to one hive this time two years ago. We have a number of friends who are asking for bees, so I expect that we will be moving a few of them on as the weather gets warmer.